Our valued viewers check complete details about UP Samiksha Adhikari (उत्तर प्रदेश समीक्षा अधिकारी) such as vacant vacancy, Exam Dates, process to apply etc from below structured section. 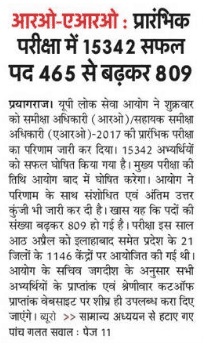 Uttar Pradesh Public Service Commission has issued a notice of UP Samiksha Adhikari to fill vacant General – 460 posts; Backlog – 05 posts of Review Officer (RO) and other. Interested candidates may apply by filling UP Samiksha Adhikari (समीक्षा अधिकारी) Online Registration form. 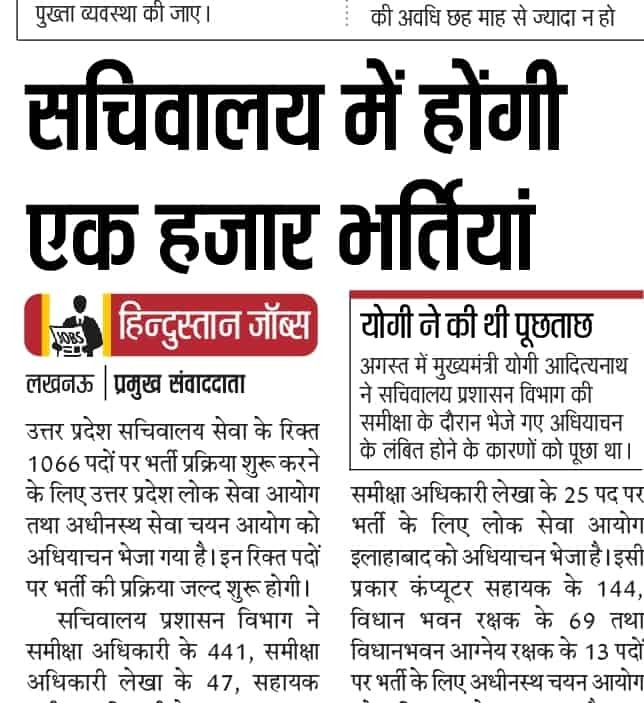 Uttar Pradesh Public Service Commission invites application form from talented and career oriented candidates to fill vacant three hundred sixty-two job openings. Before applying for UP Samiksha Adhikari advertisement candidates must ensure the eligibility norms tuned below. End date to submit form is www.uppsc.up.nic.in. Bachelor’s degree or Equivalent from any University established by Law in India. Read: Is "O" Level mandatory for UPPSC Samiksha Adhikari? · Age should not below 21 years and more than 40 years. · Relaxation in age to reserved category appliers will be decided as per norms. · Assistant Review Officer: Rs. 9300-34800/- with Grade Pay Rs. 4200/-. · Pay fee through online mode by using credit card, debit card or challan. 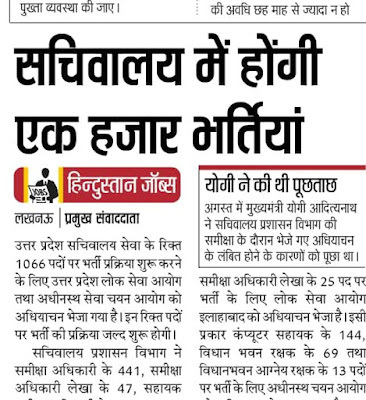 · Physically Challenged applicants have to pay only Rs. 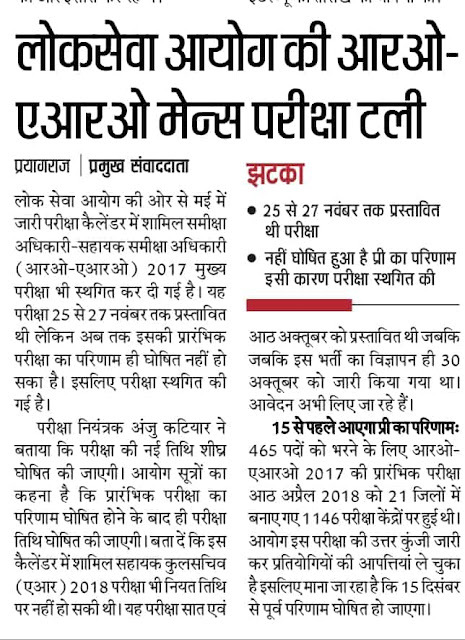 25 in order to apply for Uttar Pradesh Public Service Commission RO ARO recruitment. Selection will be done based on the basis of their performance level in written test and interview. · Visit the official website of Uttar Pradesh Public Service Commission that is “www.uppsc.up.nic.in”. · Move your cursor on the “All Notifications / Advertisements” section on the homepage and press on to “Advertisement” tab. · Read the UPPSC Samiksha Adhikari notification very carefully. · Fill Online Application Form with correct details in an accurate manner and upload all the scanned documents, signature and passport size photograph. · Don’t forget to take a print out of filled application form for future usage.